If there's one strength of Apple's that iOS and Android fans can agree on, it's the company's dedication to user privacy. With each new iteration of iOS, Apple builds upon these foundations, enhancing and increasing each iPhone's ability to protect its user's data. 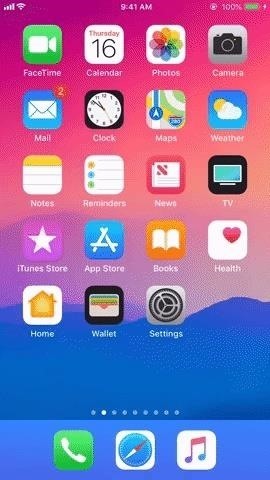 In iOS 12, Apple has added many new features to Safari, most of which have their own unique way of keeping you safe online. When reading an article, you might see those "Like" and "Share" buttons from social media apps like Facebook and Twitter, as well as Facebook comment boxes. While seemingly innocuous at first, these are actually quite nefarious, since social media services can track your movements — even if you don't interact with the buttons whatsoever. You might not be on their sites, but they know where you are. With iOS 12, Apple is expanding the enhanced intelligence tracking prevention introduced in iOS 11 in Safari so users won't see like, share, and comment fields while browsing the web if logged in to those services. It's less clutter getting in the way of the content you care about, but more importantly, it offers you better protection while surfing the web on iPhone. If you still want to use these buttons, you can. According to Apple, Safari will ask your permission before lifting the blocks via a prompt, giving you control over your own internet privacy. On the web, fingerprinting is a way for trackers to develop a profile of your iPhone based on the browsing data and system configuration information collected from your device. 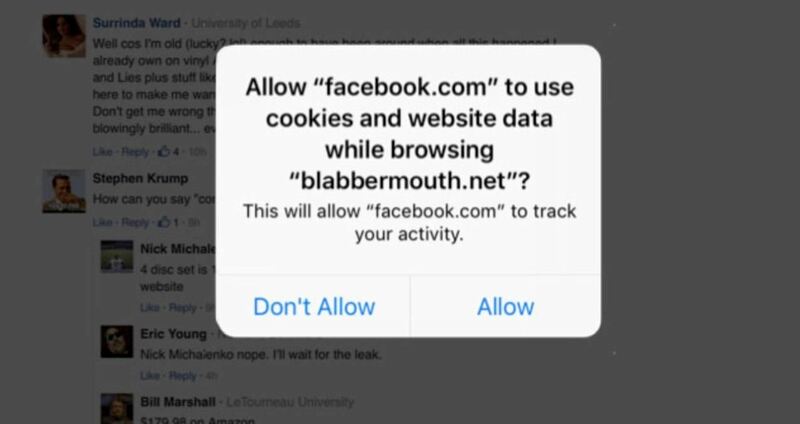 This process is the antithesis of internet privacy, as trackers can use this profile of your iPhone to know exactly who you are when accessing a webpage. • Present a simplified version of your system configuration, so more devices look identical to trackers. • Only present the list of built-in fonts, so custom-installed fonts can't be used as a unique identifier. • No longer support legacy plug-ins, so they can't be used to identify you. The result is a similar if not identical browsing experience for you, while dramatically hindering the ability for trackers to uniquely identify your device, while still letting websites deliver content to you based on your device specifics. Favicons are the official term for the tab icons you see while using a website. These icons were previously present in other iOS web browsers like Chrome and Firefox, but with iOS 12, Apple has added the functionality to Safari as well. It's a small change, but one that makes browsing the web on your iPhone feel a bit more complete. While the following list contains features found in supported apps, they are just as useful in Safari, if not more useful. You won't be able to call these "Safari exclusives," but they will nonetheless be helpful additions to Safari in iOS 12. Two-factor authentication is a great way to protect your accounts from would-be intruders (even though SMS codes have their downsides), but having to retrieve a security code via SMS or another app and then enter it each time you want to use the account in question can be a hassle. 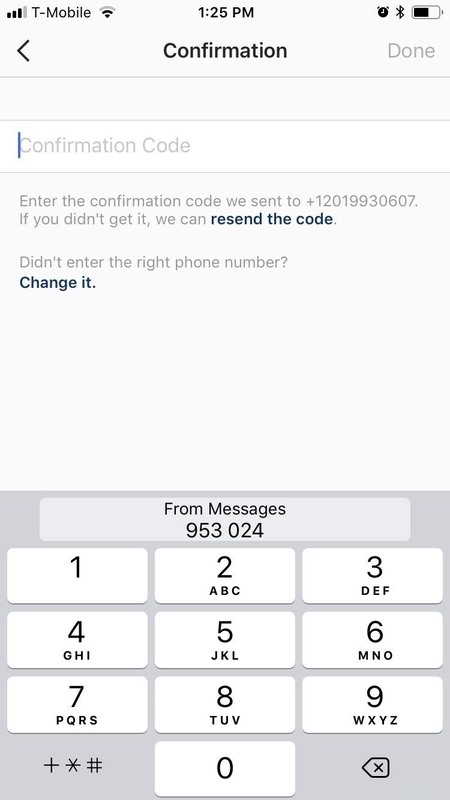 Apple changed this in iOS 12 by allowing you to automatically fill your 2FA security codes in from a text message. 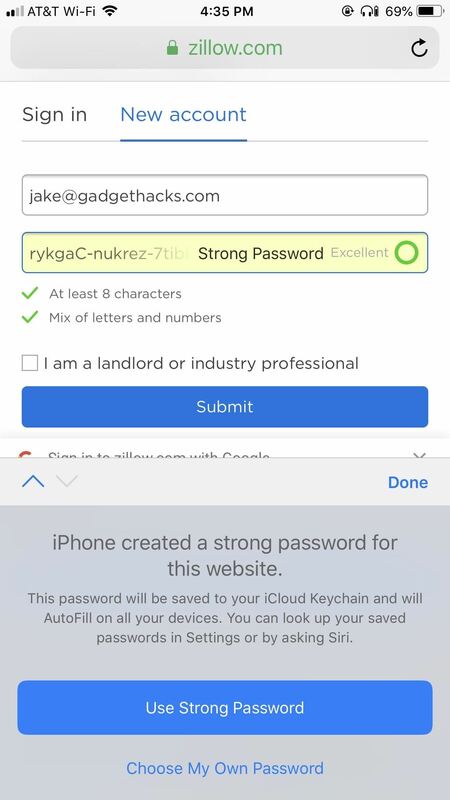 With iOS 12, Apple has expanded its iCloud Keychain feature to instantly generate strong passwords for users when setting up new accounts. The feature automatically works whenever the user taps the "Password" field in a sign-up page. Dismissing the generated password and creating a custom password is still optional, but you'll be hard-pressed to come up with a better password in the same amount of time. Do you use the same password for multiple accounts? If you do, you probably know you shouldn't. If you're interested in changing your online ways, but feel a bit overwhelmed, iOS 12 is here to help you out. When viewing your saved passwords in Settings in iOS 12, you can plainly see if you have a repeated password across multiple accounts. 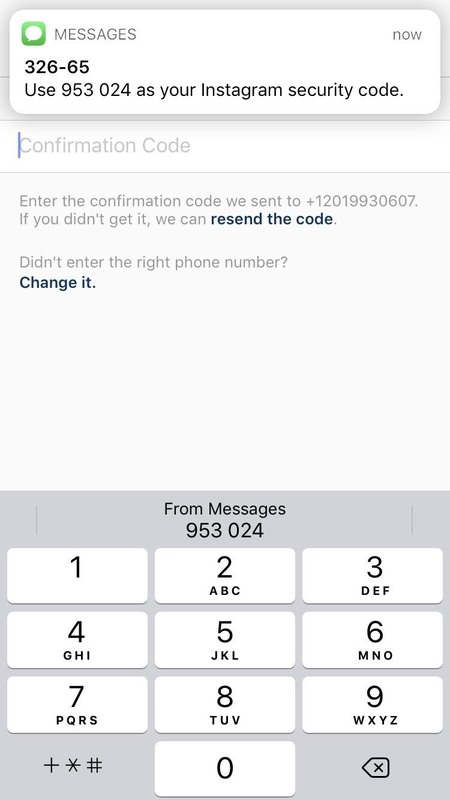 While you won't be able to see all of the other accounts that password is used on, iOS 12 will tell you how many there are, to give you an indication of how many times you might want to change your account's password. Luckily, changing the password in question is quick and straightforward by tapping "Change Password on Website." 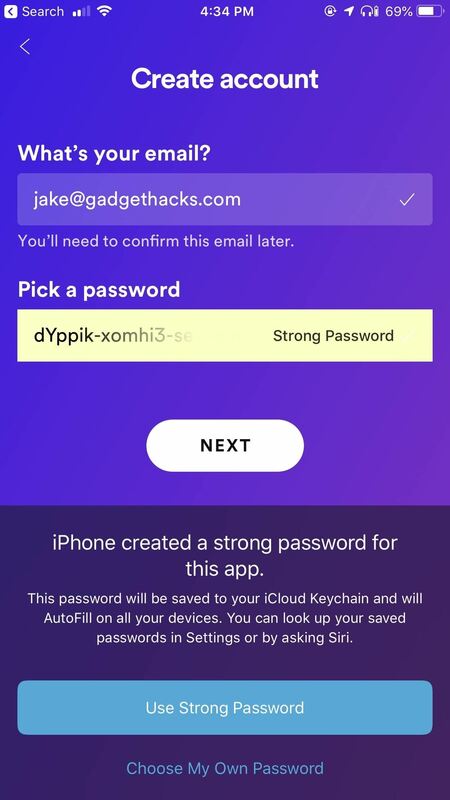 After you create a unique password, it'll save across all connected devices. Apple is continuing to improve its digital assistant, with iOS 12 being no exception. Shortcuts might steal the show this year, but Safari makes good use of Siri, as well. If you ever need to quickly pull up one of your saved passwords just to review it, simply ask Siri to do it for you. 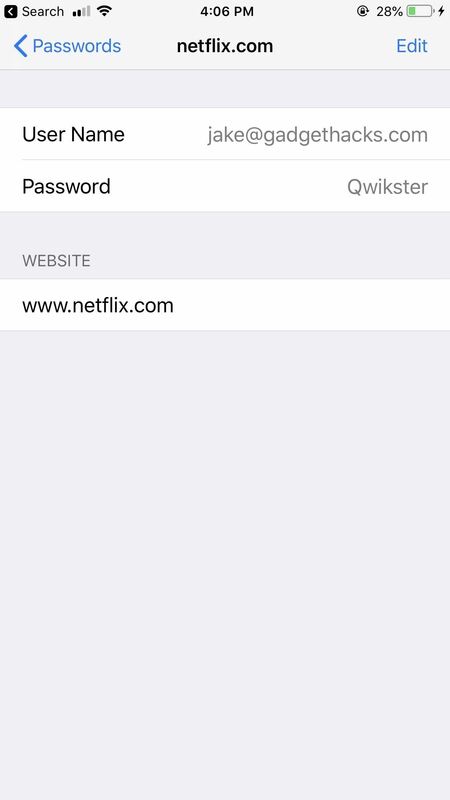 For example, if you ask Siri to "show me my Netflix password," the assistant will immediately launch the password manager. Authenticate yourself using Touch ID or Face ID, and the password is yours. If Apple's iCloud Keychain isn't cutting it for you, there are plenty of third-party options for you to try. The drawback, however, was that you couldn't access those passwords in Safari. That meant if you wanted Safari to auto-fill your passwords, you had no choice but to go with Apple's built-in password manager. That changes with iOS 12 — Apple now opens its password manager API to third-party solutions. If you use a service like LastPass or 1Password, you'll now be able to auto-fill your passwords in Safari without a problem. 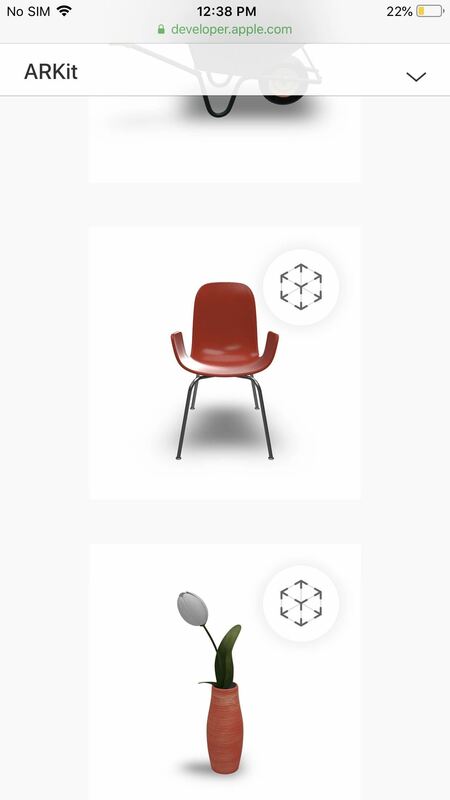 System-wide, iOS 12 has a new format for augmented reality files called USDZ. This allows developers to create AR files that will let you "quick look" at them from the Safari web browser, as well as from Mail, Messages, and other apps. 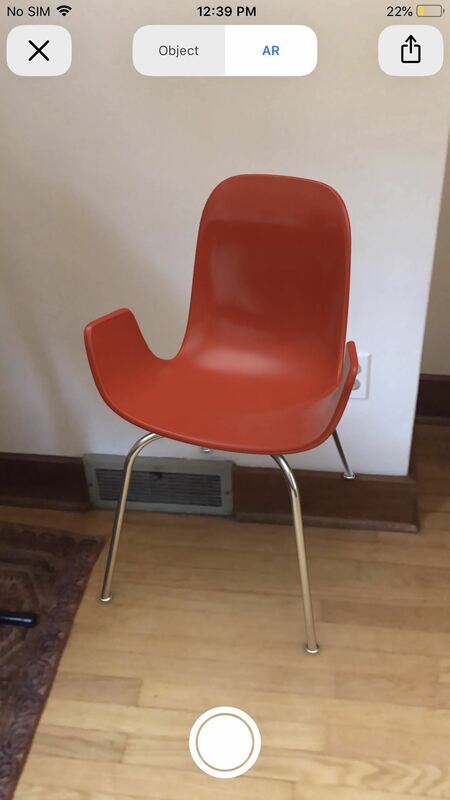 For instance, if you're shopping for furniture on a website online, instead of downloading that business' mobile app to view AR content right in your room, you can just use AR Quick Look to see how the furniture works in your space without ever leaving Safari. You can use Apple's examples to test it out or just visit a supported site such as Magnolia's web store.